Identify and strengthen your brand through custom packaging. Each customized carton holds ten single archwire pouches. Custom envelopes and labels are also available. Great products start with a good idea. Ultimate's Research and Development Department is a great resource for turning your ideas into reality. 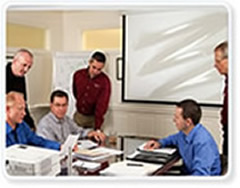 When you, or one of your customers, have an idea for a new product, we have the people in place to make it happen. Talk through your initial sketch with our engineers, and see what happens! Our engineers have a wide range of expertise to allow for knowledgeable input and review of your project. They are well-practiced in design control. Careful consideration is given to material selection and design features to ensure your design inputs are met with the desired outcome. Where applicable, testing of the finished product is performed to validate/verify that your product meets your needs. The opportunity to offer a proprietary product is only a phone call away. Put our expertise, from years of orthodontic product design and manufacturing experience, to work for you. Your products, your package, your sale.